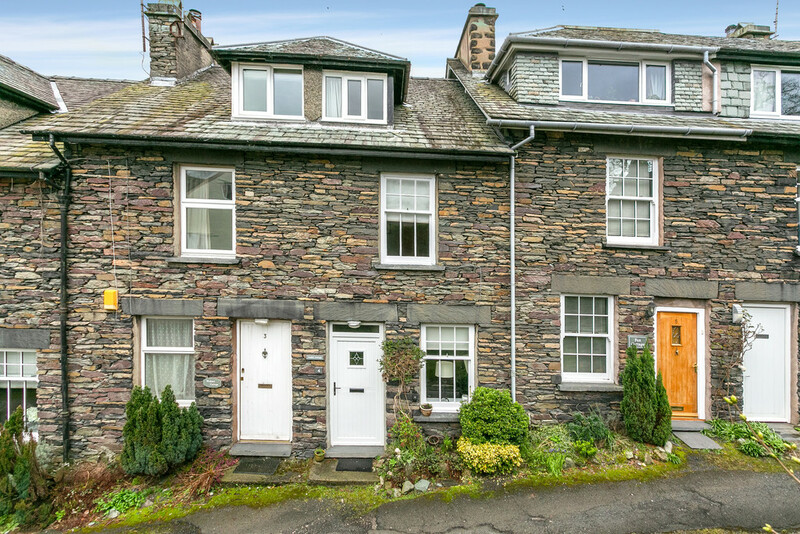 Amble Cottage is an attractive three bedroom traditional mid terrace Lakeland cottage. 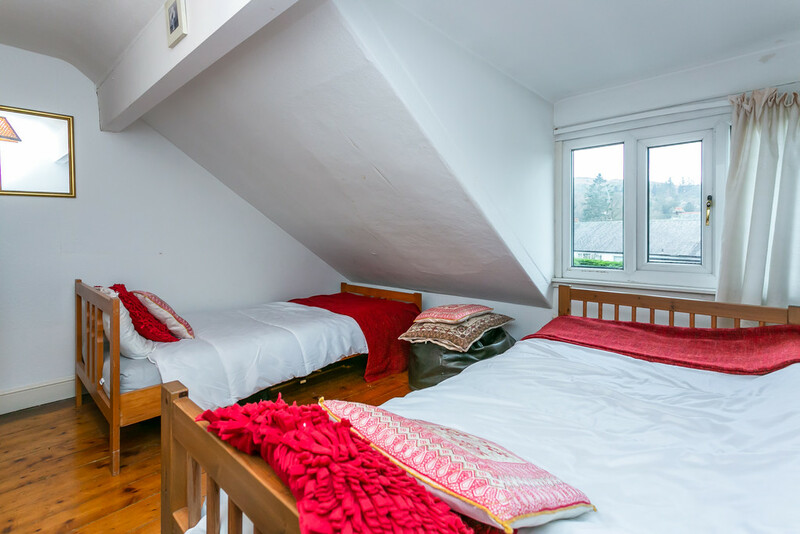 Deceptively spacious with the accommodation spread over three floors, each bedroom is comfortably either a double or twin room. 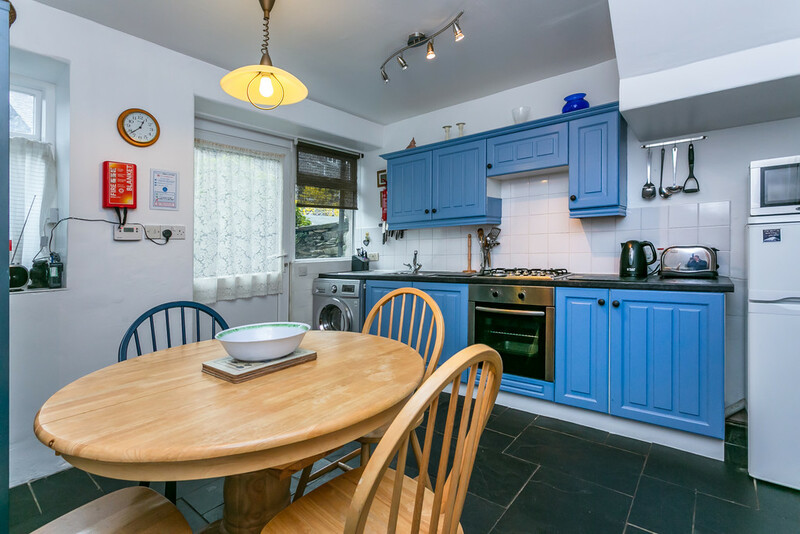 Whilst the ground floor has a sitting room and spacious kitchen/diner with rear door to private patio area. 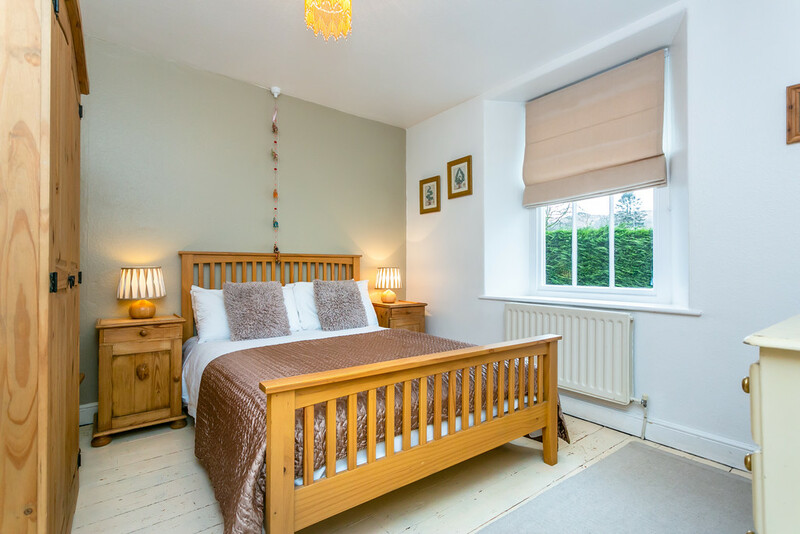 The property has some characterful original features combined with modern appointments. 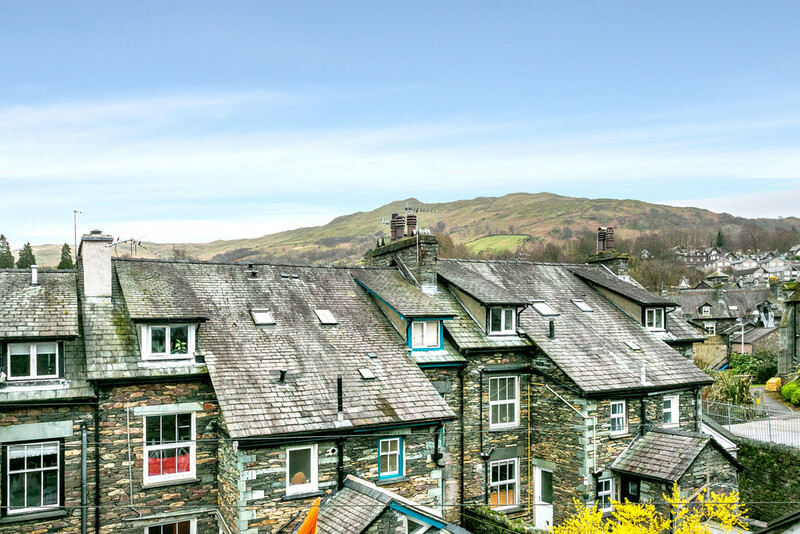 Presently a successful holiday letting property let through Heart of the Lakes and is being sold with forward bookings and majority of contents. 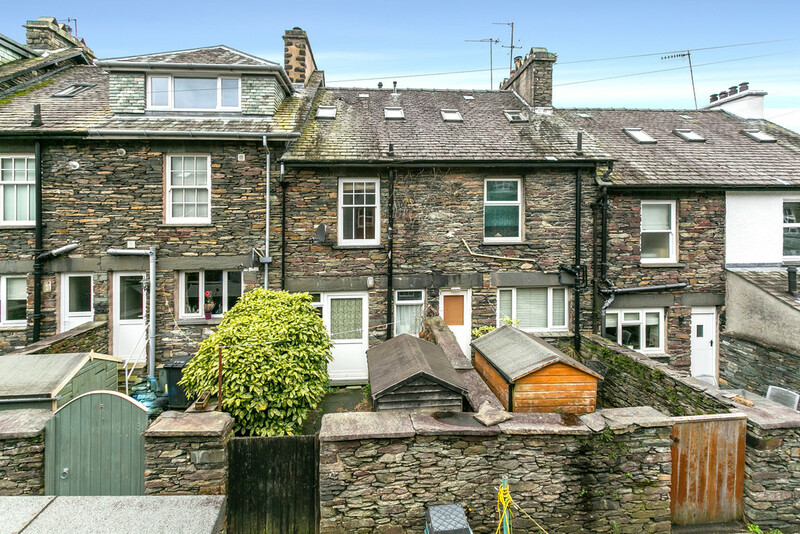 Park Street is located within Millan’s Park which is a popular residential area just out of the centre of this highly popular village of Ambleside. 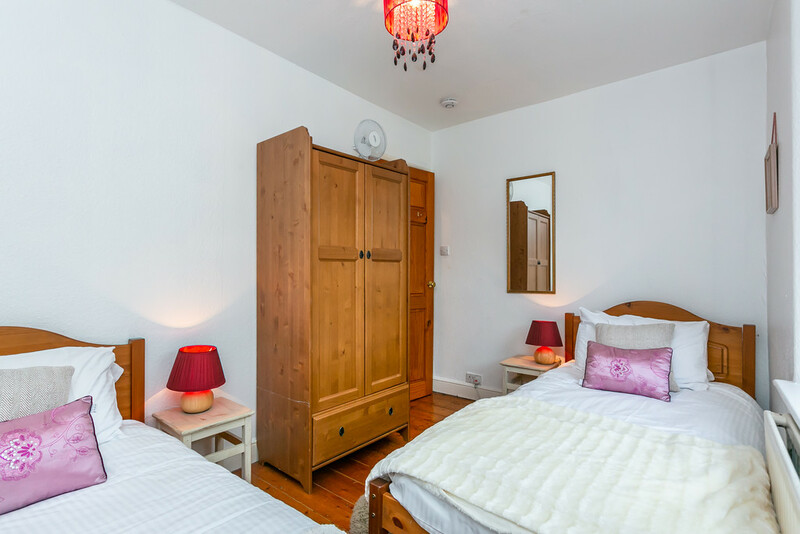 Only a short level walk to a large variety of amenities including shops, post office, public houses, restaurants etc. 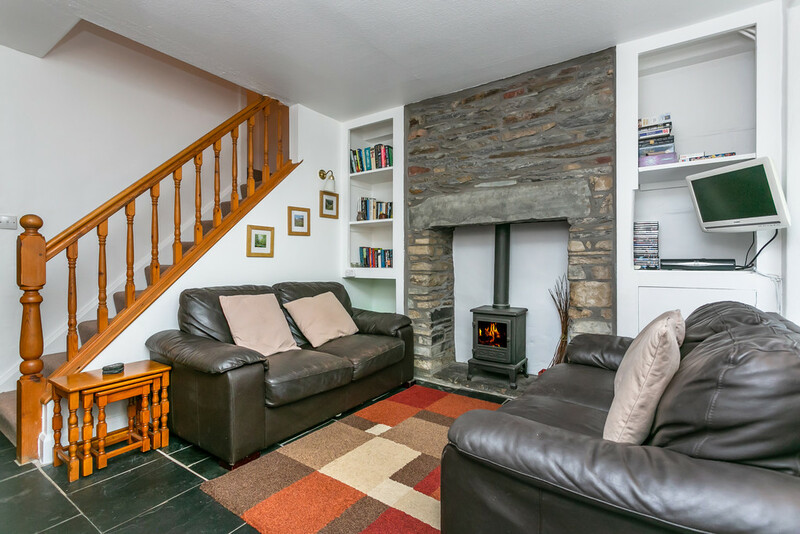 The property has endless fell and country walks from the doorstep. Directions From Compston Road turn left at Zefferellis Cinema into Millan’s Park, then take the second left and continue round Millan’s Park until the third straight. Turn right and Amble is fourth on the left. 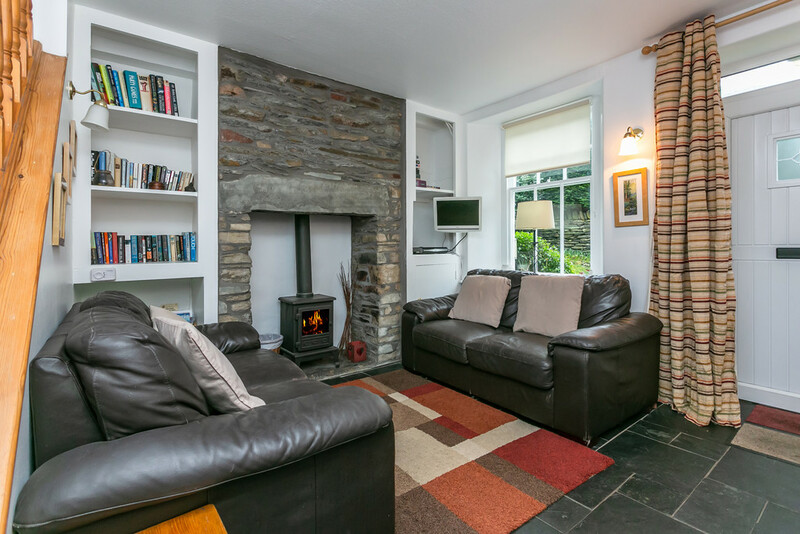 Sitting Room 13’02 X 10’03 (3.99m x 3.11m) Attractive room with original exposed stone fire place with slate hearth with inset gas stove. Twin shelved recess cupboards concealing gas and electric meters and fuse box. Slate tiled floor, open staircase and TV point. 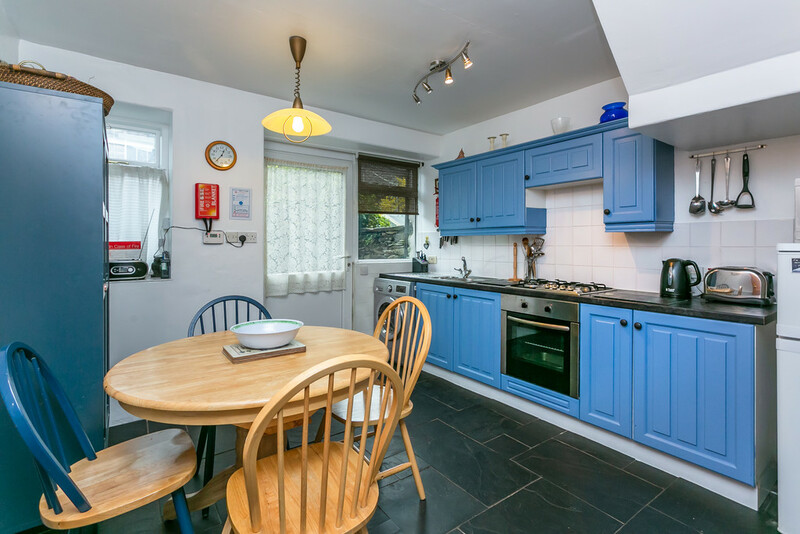 Kitchen/Diner 11’01 x 10’06 (3.36m x 3.18m) Spacious room with a selection of wall and base units with one and half bowl stainless steel sink unit with mixer tap. Four ring gas hob and electric oven. Part tiled walls, extractor and plumbing for washing machine. Slate tiled floor. Rear door leading to paved patio with shed and gate leading to the rear service lane. 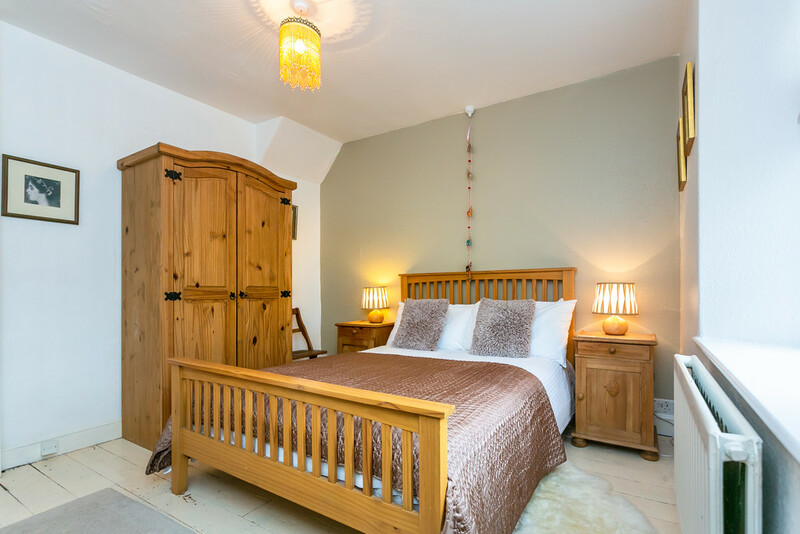 Front Bedroom One 11’02 x 10’04 (3.39m x 3.12m) Spacious double room with original exposed floorboards and lovely west facing view towards Loughrigg Fell. Rear Bedroom Two 11’02 x 7’06 (3.39m x 2.28m) Twin room with exposed floorboards. 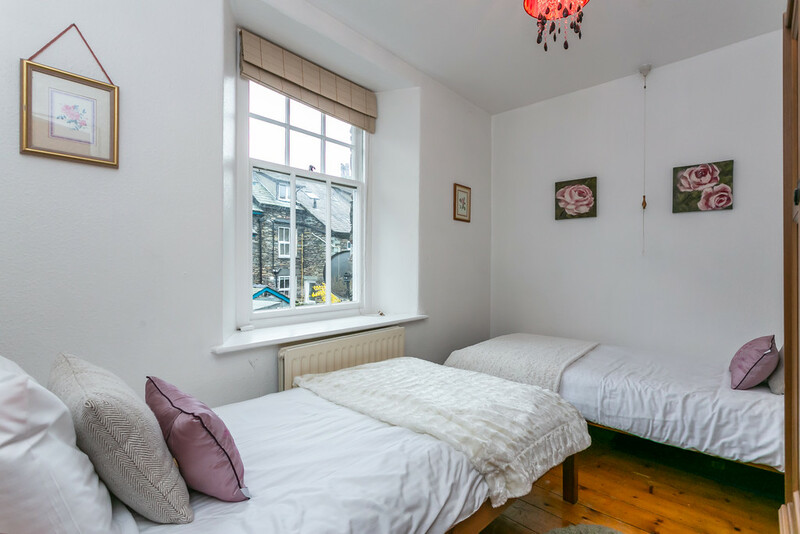 Front Bedroom Three 11’02 x 10’04 (3.38m x 3.13m) Attractive twin room with single UPVC dormer window with lovely views towards Loughrigg and Fairfield. Partially restricted head height. Original exposed floorboards. Bathroom White three piece suite comprising panelled bath with Mira shower over, pedestal wash hand basin and WC. 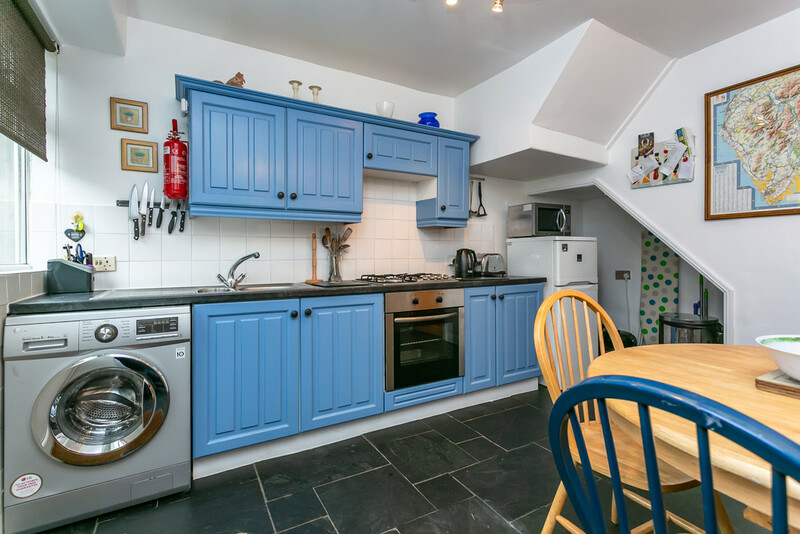 Heated towel rail, useful eaves storage, exposed floorboards and part tiled walls. 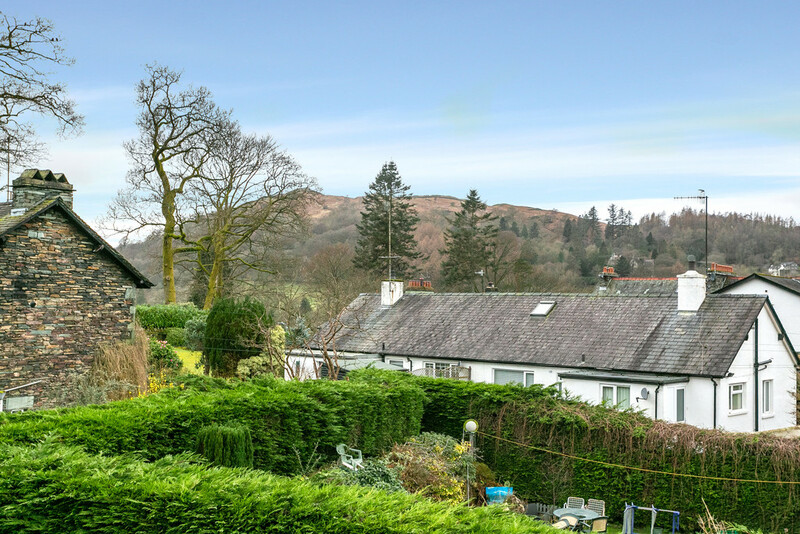 Exposed beam and two velux windows providing excellent views towards Wansfell Pike. Airing cupboard housing Gloworm boiler and cylinder with attic access. Outside The property benefits from small rear paved patio with small shed and gate providing access to the service lane. The property benefits from two residential parking permits for Millan’s Park. 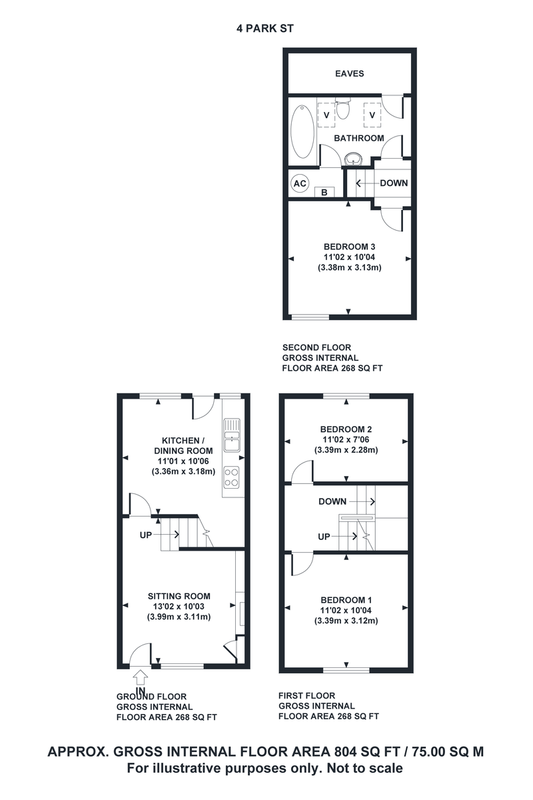 Rateable Value £5,100 actual amount payable £2,376.60. This could be reduced to ZERO if the purchaser is entitled to Small Business Rates Relief. More details can be obtained from the Local Authority South Lakeland District Council 01539 733333.